Guest Rooms Equipped With Comfortable Beds, En-Suite Bathing Facilities, Satellite Television & Air Conditioning. Conference Room With Setup For 20-100 Guests. Book NowWhen would you like to stay? 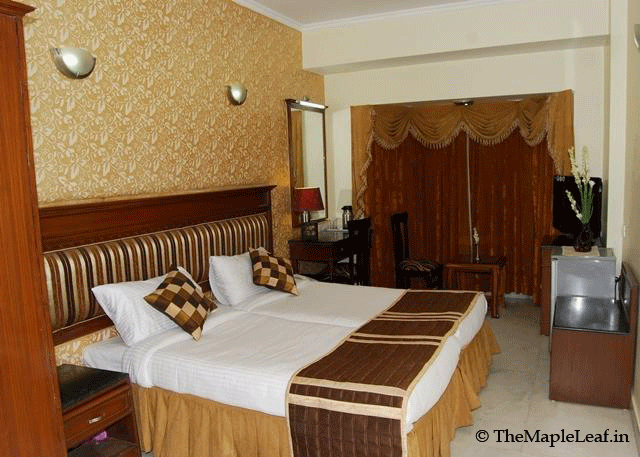 The Maple Leaf is an international standard budget hotel located in the green surroundings of DLF Cyber City, Gurgaon. 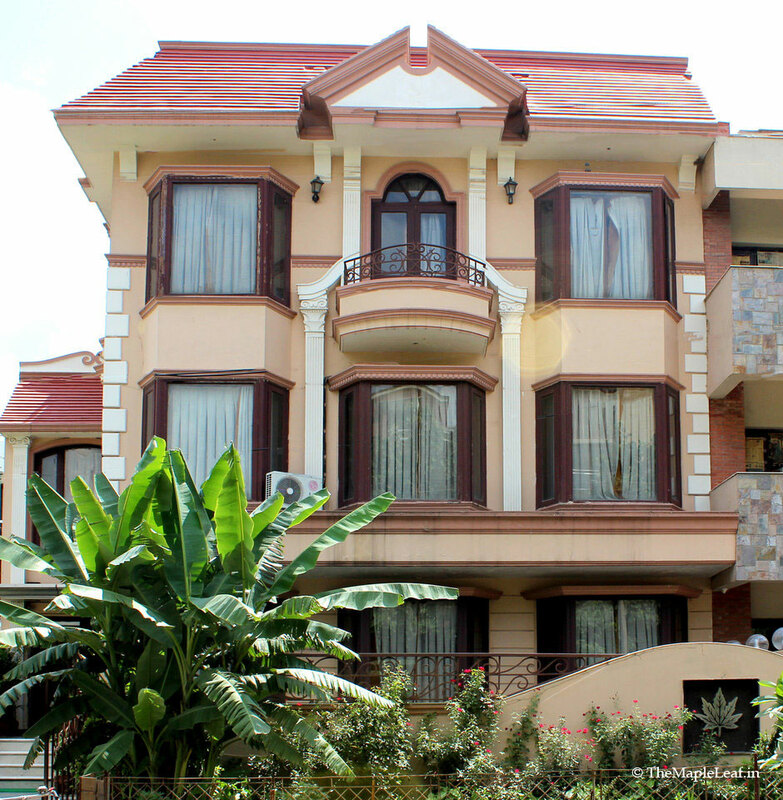 Our Gurgaon Guest House provides clean, safe hotel rooms equipped with comfortable beds, en-suite bathing facilities, satellite television and air conditioning. 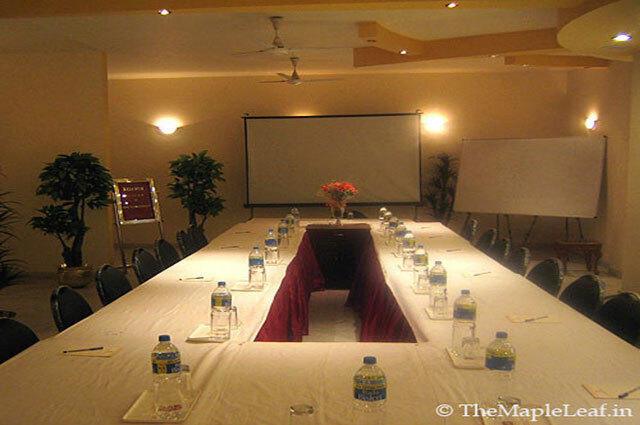 We also offer conference facilities in Gurgaon with setup for 20-150 guests in customized arrangements. 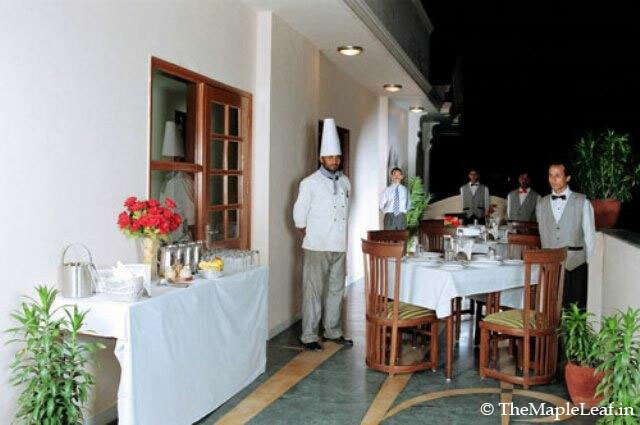 While we take pride in offering home like comforts and environment, we also provide world class facilities like Free Wi-Fi access, 100% power back-up, 24 hour room service, laundry service, travel desk and other guest services to make your stay at our Budget Hotel in Gurgaon comfortable and relaxing. Our Business Hotel in Gurgaon is located just 30 minutes from both the domestic & international airports, and conveniently close to all that Gurgaon has to offer. From its skyscrapers which house leading Fortune 500 companies to its fashionable malls, golf courses, cafes and entertainment centers. Book Budget Hotel in DLF Cyber City Gurgaon. The Maple Leaf is the Budget Hotel of choice for the business traveler visiting DLF Cyber City, Udyog Vihar, DLF City 1,2,3,4 Gurgaon. We have 20 elegantly furnished guest rooms and state of the art conference facilities with latest audio visual equipment. The reception lobby is the focal point of our Guest House, providing a relaxed environment to make your stay in Gurgaon more comfortable. The area near our Guest House in Gurgaon, boasts of a bustling city life with top-end shopping malls, multiplexes, pubs, restaurants in the very happening DLF Cyber Hub, India's first intergrated food & entertainment destination. The Maple Leaf Gurgaon is conveniently located near Sikandarpur Station of both the Delhi Metro and the Rapid Metro line. We are also very close to NH-8 highway and 30 mins. away from both Domestic & International Airports. Our Gurgaon Budget Hotel is conveniently located in heart of DLF Cyber City adjacent to DLF Square Building and surrounded by multinational companies like Microsoft, American Express, Ericsson, DuPont, IBM, Schneider Electric, Motorola, Oracle, Cisco, Nestle, Deloitte, Canon, Pfizer, Siemens, KPMG, Discovery, Baxter, Pepsico, Bharti Airtel, General Electric, Alcatel Lucent, Cargill, Ingersoll Rand, Ford, Bain, Ikea, BlackRock, ThoughtWorks, Panasonic, PWC, Concentrix, Accenture, Philips, Google, ZTE, Toshiba, Linkedin, Avaya, Emerson, Infosys, Bechtel, Corning, Abbott, Cairn, Fluor, Capgemini, EY, Wipro, Cognizant, Hewlett Packard, Fujitsu, Fortum, AECOM, Beam Suntory, Dassault. Rio Tinto and many others. We have exclusive offers for corporates and can offer customized turn-key solutions for corporate accommodation in Gurgaon, ranging from Guest Houses to Serviced Apartments. Please email us at hello@TheMapleLeaf.in for exclusive partnership opportunities. Book DLF City Hotels Directly On Our Official Website or Call 0124-4010005 Now ! The Maple Leaf has 20 elegantly furnished air conditioned guest rooms, ideal for business travelers looking for Budget Hotels near DLF Cyber City, Gurgaon. We are located very near to DLF Cyber Hub, Udyog Vihar, Sikanderpur Metro Station, MG Road, IFFCO Chowk, Golf Course Road and Major Shopping Malls in Gurgaon. Be the first to hear about special offers and exclusive deals from The Maple Leaf and our partners.